Properly and effectively diversifying your retirement portfolio is among the most difficult and challenging tasks associated with planning for the future. Considering the volatility of the financial markets, both domestically and abroad, many investors are apprehensive about putting all of their savings into stocks and other equities. The uncertainty of the stock market and the seemingly tenuous hold the United States has on its economy has made investors keep more cash in their portfolios. Perhaps the most significant question is how much of a retirement portfolio should be in cash. Keeping a portion of the money in your retirement portfolio as cash provides stability and safety, as well as opportunity. Unlike stocks, bonds, mutual funds or other types of investments, cash will not decrease in value. Regardless of how the stock market performs, your dollars will retain their face value. Additionally, having cash in your portfolio allows you to take advantage of an opportunity to purchase another investment without being forced to sell existing securities. While cash in your retirement portfolio can provide stability, it can also hinder your account's growth. Cash does not increase at a rate significant enough to combat inflation, and therefore loses its purchasing power every year. The face amount of your dollars remains the same, but the ability of the money to make purchases and sustain a lifestyle will continually decrease. Your retirement investment portfolio should evolve over time. People younger than 40 usually maintain a more aggressive allocation with very little cash, typically no more than 5 percent. With two full decades until the money can be accessed, a more aggressive stance is often taken because enough time exists to make up any losses. However, as you approach retirement, you must re-allocate your investments to reduce risk and protect your earnings. This typically involves reducing your stock positions and increasing your bond and cash holdings. What Percentage Should I Have in Stocks, Bonds & Cash? There is no "right" or "wrong" retirement portfolio. Every investor is different, every person's financial and living situation is unique, and what works for you might not work for anyone else. The "right" retirement portfolio is purely based on your comfort level and threshold for market volatility, known as risk tolerance. If your risk tolerance is high, an aggressive allocation might suit you well, which would mean a smaller percentage in cash. However, if your risk tolerance is low, you need a more conservative diversification with a larger portion in cash. 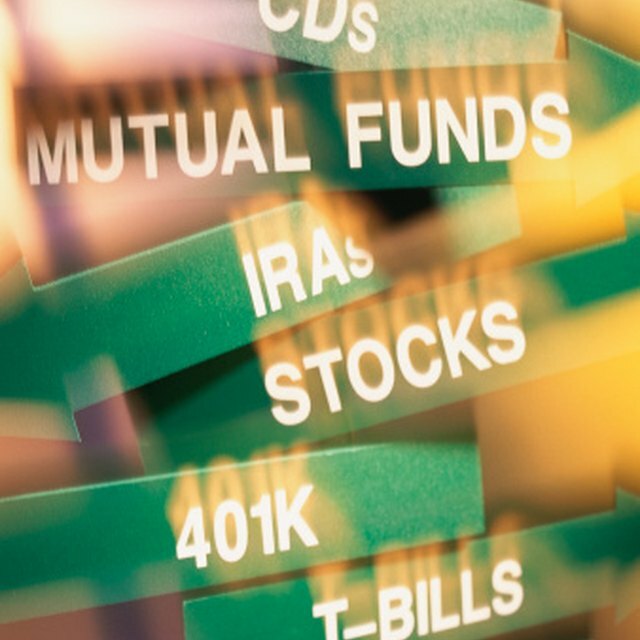 Most major mutual fund companies offer a series of funds designed to automatically evolve over time and adjust the allocation of investments into more conservative vehicles as you approach retirement. These are called target date funds, and investors select the one that most closely matches their anticipated retirement timeline. Every year, the fund managers shift money out of equities and into bonds and cash, thereby reducing the risk of the portfolio.